Stephanie Espy is empowering the next generation of STEM leaders. By imparting STEM fluency – the ability to problem solve, think critically and logically, apply theory and innovate – to Georgia’s students, she’s forging a society in which every child is motivated to create and realize his or her fullest potential. Stephanie’s mission is to motivate, inspire, and prepare MathSP students to excel in STEM (Science, Technology, Engineering, and Math) academic subjects and on college and graduate admissions exams. Born and raised in Decatur, Georgia, Stephanie earned the highest accolades for her achievements in her coursework while leading the flute section of a 300-member band, serving her high school as senior class president, and coaching her classmates and peers in math and science. These first few years of academic coaching convinced Stephanie that great coaches not only equip their students with a “math state of mind” but also go above and beyond to empower lifelong, self-motivated learners. By the time she graduated with a 4.2 GPA, she’d begun to hone the coaching philosophy that fuels MathSP and yields real results. After graduating from high school, Stephanie attended the Massachusetts Institute of Technology (MIT); she majored in chemical engineering and minored in theater arts. Driven to apply her problem solving skills to the production of real-world technologies, Stephanie worked as an engineer for the multinational oil and gas company BP (formerly BP Amoco). In this capacity, she interpreted gas dispersion experimental data and created models to describe the impact of gas volume against the release rate. These experiences further opened Stephanie’s eyes to the ubiquity of STEM and convinced her that if more students realized that math and science are modes of perception and not just subjects of study, innovation gaps would no longer exists. To activate this new insight, she created a coaching program to engage middle and high school students in connecting their STEM studies to the real world. Upon graduating from MIT, Stephanie was awarded a fellowship at the University of California, Berkeley where she pursued a master’s in chemical engineering with a certificate in Management of Technology, a joint program with the College of Engineering and the Haas School of Business. She completed a thesis on the metabolic engineering of rubber-producing plants to improve the quality and yield of natural rubber. Her primary research culminated in the authorship of two noted scientific papers published in the Archives of biochemistry and biophysics and Phytochemistry. Throughout her graduate studies, Stephanie coached students in multiple STEM subjects and taught courses for a national tutoring and test preparation company. Stephanie has conducted research for several Fortune 500 corporations in both the United States and Europe and has travelled extensively for personal and philanthropic reasons to Brazil, Argentina, Greece, Thailand, Vietnam, South Africa, Spain, Australia, India, and more. In 2006, she earned a fellowship to attend the Goizueta Business School at Emory University. 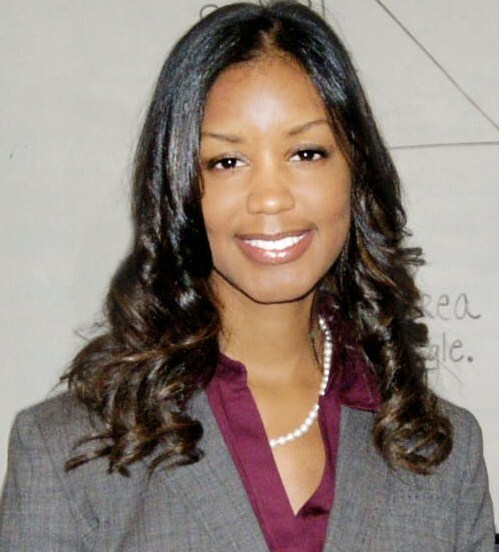 In 2009, after earning her MBA, Stephanie founded Math Strategies and Problem-solving or MathSP. Years of experience as a coach, educator, and highly skilled problem solver, coupled with an understanding of business and deep analytical competency afforded a seamless transition into entrepreneurship. Stephanie believes this is work she has been called to do.